Organized at Chambersburg November 1, 1862, and ordered to Suffolk, Va. Attached to Spinola's Brigade, Division at Suffolk, 7th Corps, Dept. of Virginia, to December, 1862. 1st Brigade, 5th Division, 18th Corps, Dept. of North Carolina, to May, 1863. District of the Pamlico, Dept. of North Carolina, to June, 1863. Spinola's Brigade, 7th Corps, Dept. of Virginia, to July, 1863. Harper's Ferry, W. Va., to August, 1863. SERVICE.--Duty at Suffolk, Va., until December 28, 1862. Moved to New Berne, N. C., December 28-January 1, 1863, and duty there until June, 1863. Expedition from New Berne to Trenton, Pollocksville, Young's Cross Roads and Swansborough March 6-10. Expedition to relief of Little Washington, N. C, April 7-10. Blount's Creek April 9. Expedition to Swift Creek Village April 13-21. Big Swift Creek April 19. Ordered to Fortress Monroe, Va., June. Dix's Peninsula Campaign July 1-7. Moved to Harper's Ferry July 7-9, thence moved to Boonsboro, Md., and reported to Gen. Meade July 11. Pursuit of Lee July 11-24. Ordered to Harrisburg, Pa., August 3. Mustered out August 12, 1863. Regiment lost during service 45 by disease. Martin G. Hale, of Cumberland county, Major. Towards the close of the month, it was ordered to the front, and proceeded to Suffolk, Virginia, where it was assigned to Spinola's Brigade, Ferry's Division. It was here thoroughly instructed and drilled. 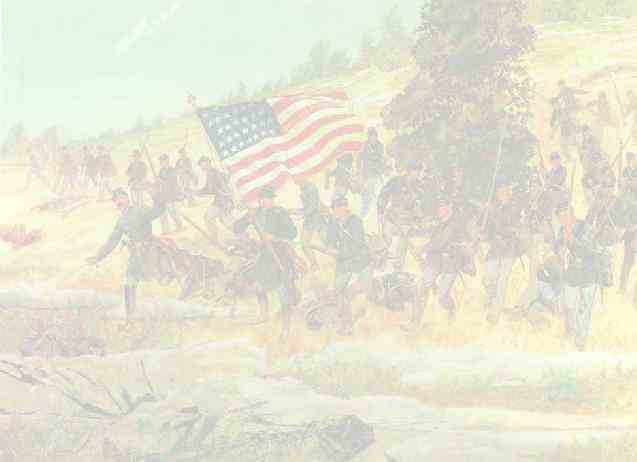 On the 28th of December, the brigade was ordered to Newbern, North Carolina, where it went into winter-quarters. In March, 1883, a corps of the rebel army was detached from the main body, resting at Fredericksburg, and sent, under General D. H. Hill, into North Carolina, to operate against the command of General Foster. The garrison at Washington, on the Tar River, was surrounded, and the place closely invested. The One Hundred and Fifty-eighth, under command of Lieutenant Colonel Troxell, was sent, with other troops, around by water to its relief. While on the way, the vessel on which it was embarked run aground, in the midst of a terrible storm, and lay for two days and nights at the mercy of the waves. It was finally rescued, with the loss of stores, and proceeded on its way up the Pamlico River. At Hill's, and Rodman's points a short distance below the town, the enemy had placed obstructions in the channel, and was prepared, with heavy batteries, to dispute the passage. Colonel Troxell was ordered by General Prince, in command of the division, to embark his men upon gun-boats, and be prepared to run the blockade. The troops were placed on board the Phoenix, and the Allison, in readiness to make the perilous attempt, and only awaited the coming on of darkness to move. But before that time, Commodore M'Cann, unable to find a pilot, refused to send the boats, crowded with troops, to what he considered inevitable destruction. Subsequently, Prince's Division returned to Newbern, and the regiment was sent with an expedition, by direct route across the country, for the relief of the beleaguered garrison. At Swift Creek, the One Hundred and Fifty-eighth, which had the advance, came upon the enemy, and a slight skirmish ensued, in which he was driven from a line of breast-works covering the village. The campaign was finally brought to a sudden conclusion. The enemy, seeing that he was about to be met in a fair field, abruptly raised the siege, and retired to Goldsboro. The regiment was then assigned, by General Foster, to duty in garrisoning the town and fortifications surrounding it. Towards the close of June, it was ordered, with other troops, to report to General Dix, at Fortress Monroe, and after its arrival, took an active part in the expedition designed as a feint upon Richmond, via White House Landing, and Bottom's Bridge. The purpose of the expedition having been attained, it returned, and was sent with the brigade to Harper's Ferry, whence it marched to Boonesboro, and reported on the 11th to General Meade, then, engaged in following up the retreat of the rebel army from Gettysburg. Three drays thereafter, Lee made good his escape across the Potomac, and the regiment, which had in the meantime, been sent for duty to a position on the National Road, at the South Mountain, proceeded to Frederick. On the 8th of' August, its term of service having already expired, it was ordered to Chambersburg, where, on the 12th, it was mustered out.